We offer group classes every Saturday morning at 9-10AM for $25 per class at our barn located in Pelham, Georgia. This class focuses on basic obedience, which can contribute to eliminating most bad behavior problems. Basic Obedience is where we teach the dog heel, sit, down, stay and come. Properly applied to every day life most problems can be eliminating. We offer at home dog training for an hour. We will work on basic obedience. Such as heel, sit, stay, down and come. All levels of obedience training usually take 3-4 weeks to complete. For all classes prices depend on the breed and age of the dog so please call for estimate. Basic obedience is offered both at your home or at our kennel. Basic obedience is an introduction to training for you and your dog. This course teaches the dog the following steps: Heel, sit, down, stay and come. All these steps are performed by you and your dog using hand and voice signals. Cost depends on the breed and age of the dog so please call for estimate. 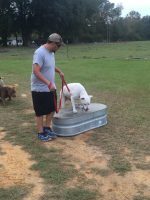 This course is designed to teach the following off leash: Heel, sit, down, stay, and come. The dog will respond to hand and voice signals without the use of the leash. 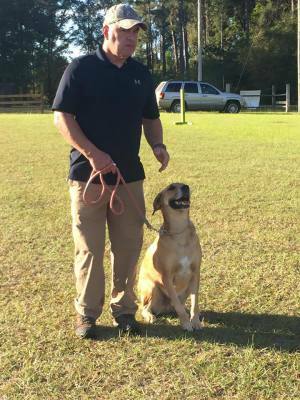 The course takes 3-4 weeks of training depending on the rate the dog learns. 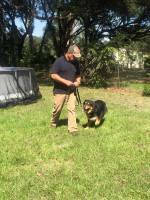 This course is designed to give the handler the maximum control of your dog at any given time or situation. 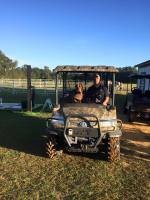 The personal protection dog is a dog with many skills and needed requirements. The dog will be taught as follows: Basic Obedience and Advanced Obedience. The amount of aggression training depends on the level of the dog natural suspicion level. Also we have to test the dogs discrimination level. 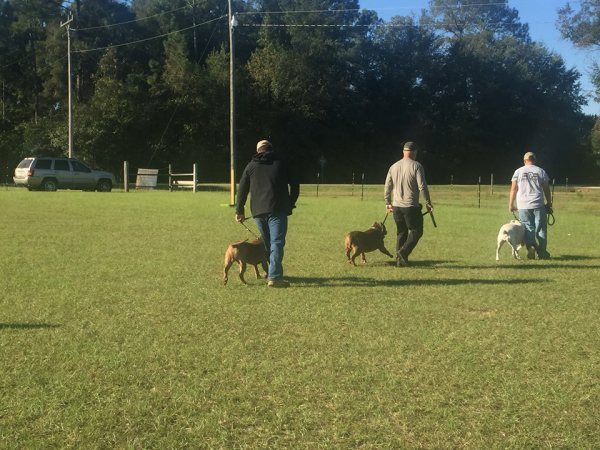 This course takes about 6-12 weeks of training with the participation of the dog's owner. None available at this time, but we do provide a finders service for any breed.